Yesterday, August 18, 2017., American top songstress, Beyoncé released her anticipating book titled How To Make A Lemonade. 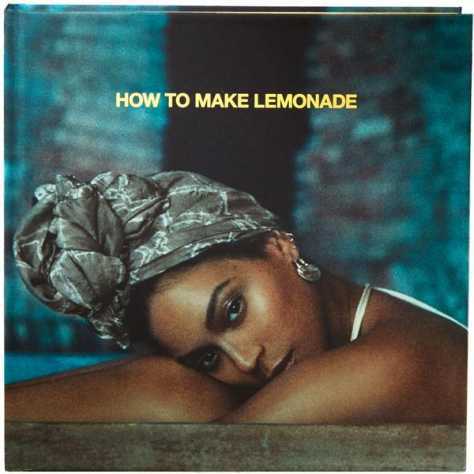 ‘How To Make A Lemonade’ by Beyoncé is an expensive book containing 600-pages that finally showed the audience behind-the-scenes with photos, outtakes and art that light out her dynamic way of fashion and beauty in her Lemonade Album. Lemonade is the sixth studio album by Beyoncé which she released on April 23, 2016. Vogue reported that the book, Lemonade by Beyoncé is a book released with intended look of Lemonade’s visual presentation, giving the project many influences, cameos on display and collaborators. With the use collages and photographic juxtapositions, Beyoncé’s it-takes-a-village method of creativity comes into full view. The book, “How To Make A Lemonade” by Beyoncé Is set on retailing price of $299 USD, the How To Make Lemonade box set was made available for pre-order on her website since yesterday.